CHARLOTTESVILLE – May 4, 2017– LIGHTHOUSE is proud to announce the launch of a NEW Headspace Inspection platform: PULSAR. Designed as a small-footprint flexible 100% inspection machine, PULSAR can be implemented for a number of different headspace inspection applications and can also be leased for process studies and short term batch inspection activities. Applications include headspace oxygen monitoring, lyo moisture inspection, and automated media fill inspection. In the critical area of 100% CCI inspection, PULSAR can be leased for CCI studies and short term critical batch inspection activities. The flexibility of PULSAR enables delivery times of 12 weeks for lease projects. 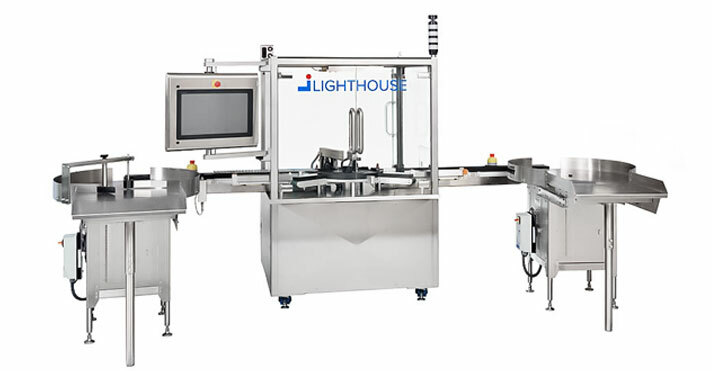 For permanent 100% CCI inspection implementations, Lighthouse works with strategic partner Bosch Packaging to deliver the Bosch KHS Series Headspace Inspection machine. For other applications, the versatility of PULSAR enables its implementation for in-process 100% headspace oxygen monitoring, lyo moisture inspection, and automated media fill inspection. Rapid non-destructive headspace analysis has proven to be a useful analytical method for gaining insight into product and process quality in sterile pharmaceutical activities across many different functional areas. LIGHTHOUSE headspace platforms have been implemented and validated by groups in formulation development, package development, process development, analytical QC, and finished product inspection in production and packaging.